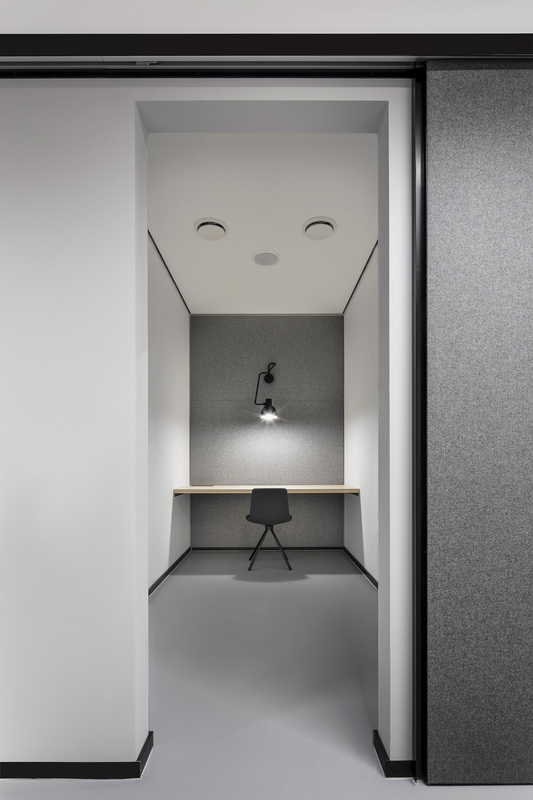 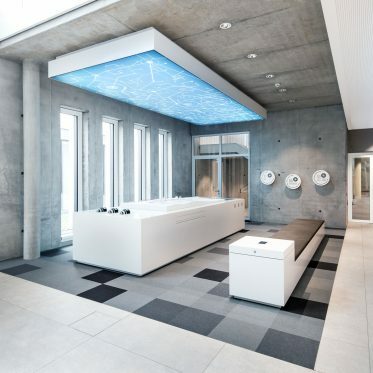 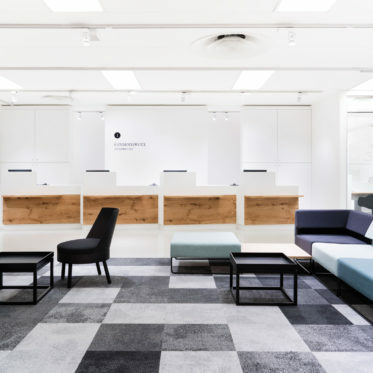 Based on a comprehensive usage analysis, DIA – Dittel Architekten developed a holistic office design concept for the German headquarters of the Husqvarna Group in Ulm with more than 10,000 m² and won out against the competition. 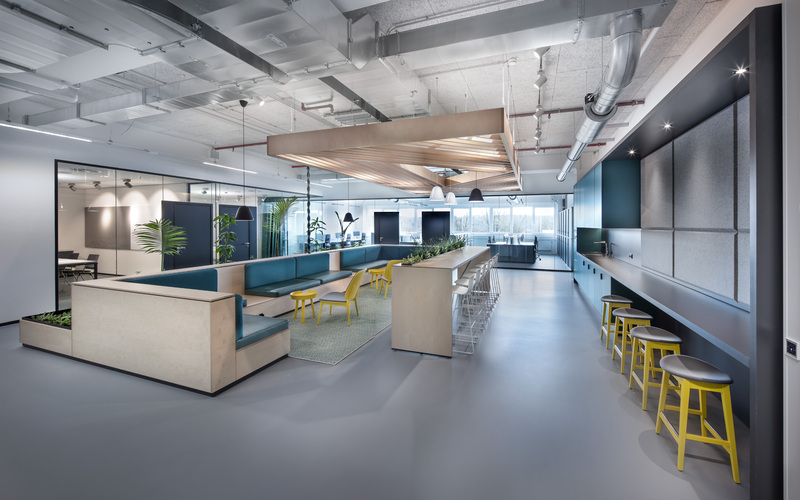 The aim of the concept was to create new workplaces and an attractive environment that will suit the global operations of the international company, bring together employees, and attract new ones. 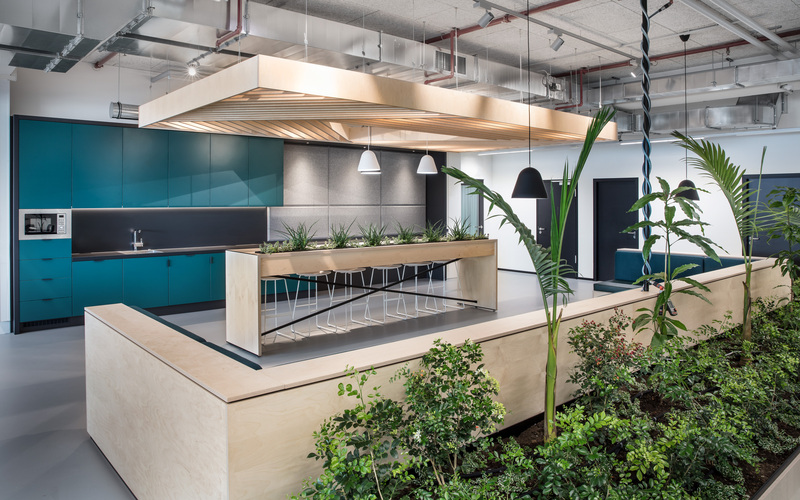 The Husqvarna Group is a leading global equipment manufacturer in the forestry, landscape and garden maintenance, construction and stone industries. 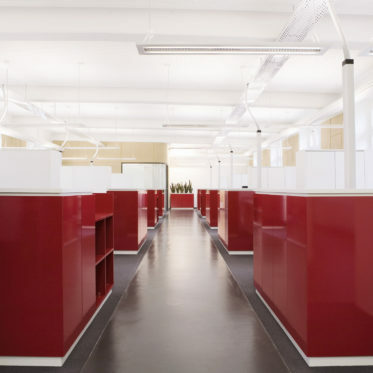 With the conversion and redesign of a 1,500 m² area in an existing logistics building, the first step was carried out. 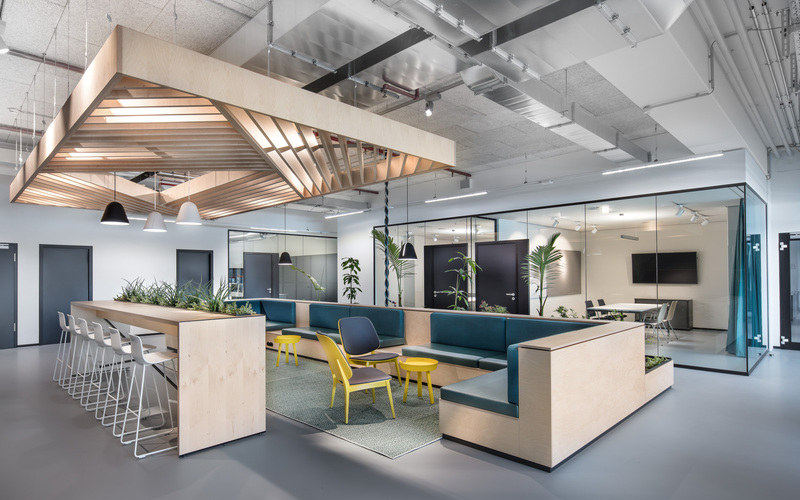 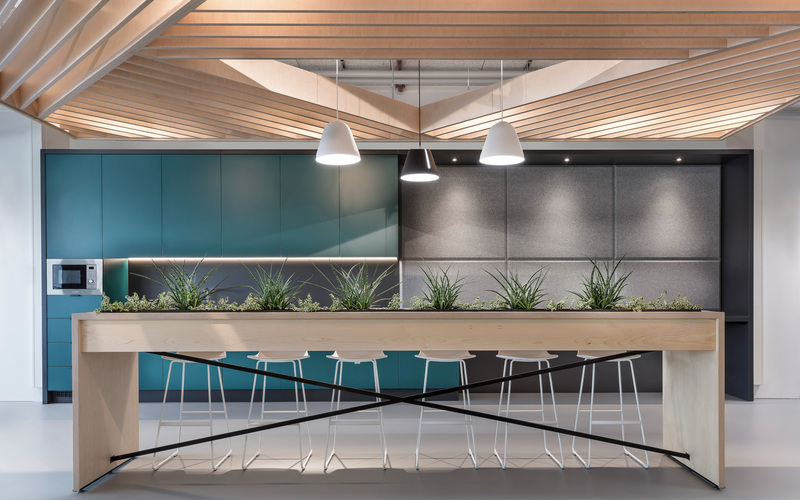 In March 2019, the modern work environment, with 100 new workplaces, was ready to move into. 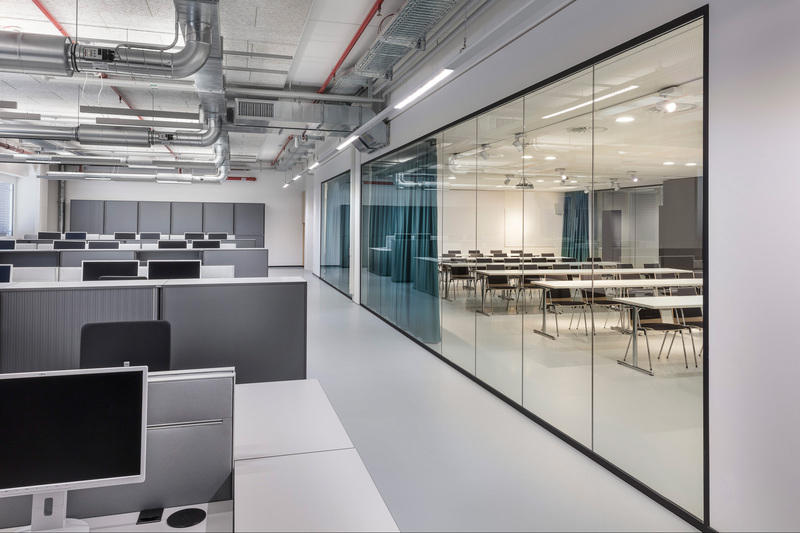 The new office space of the Husqvarna Group is on the first floor of the logistics building and right next to a high-rise warehouse. 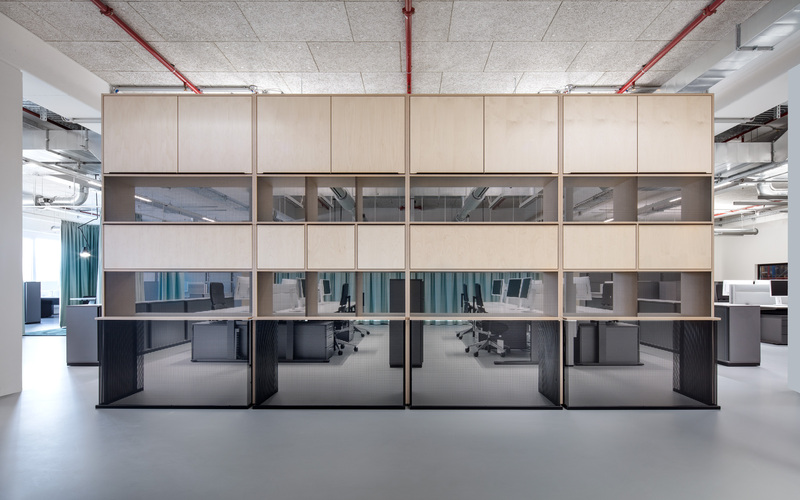 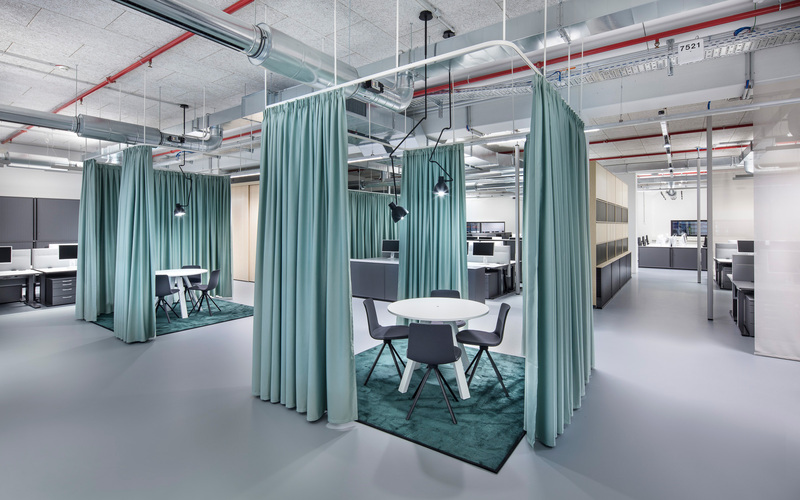 In three zones that run parallel to the façade, there are many different working situations: Open Space and Desk Sharing areas, group offices, meeting rooms, Focus Rooms, and a spacious lounge. 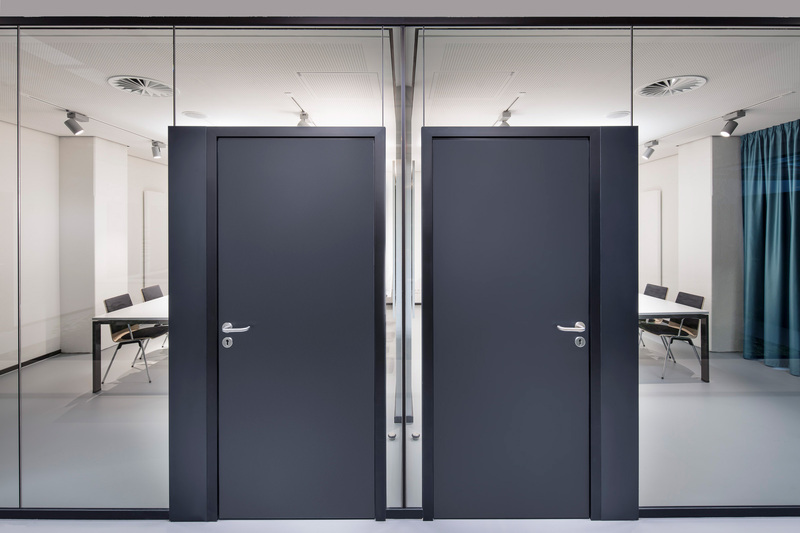 They meld into an overall concept that optimally balances open and closed areas, to promote exchange and facilitate concentration. 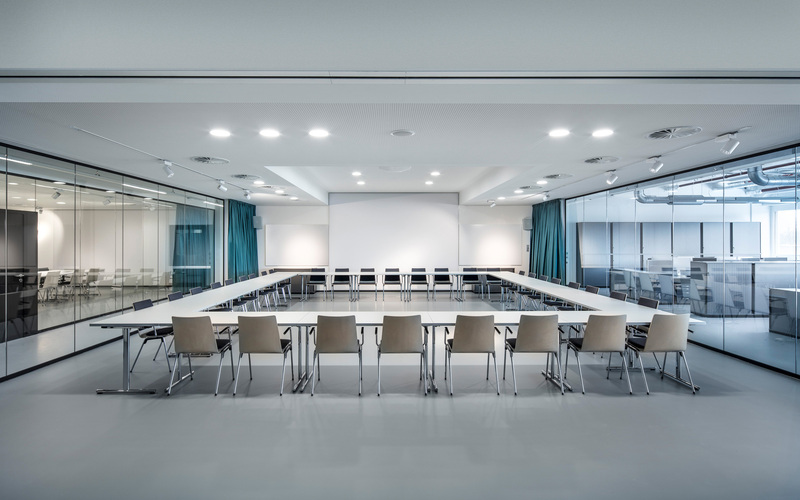 The multifunctional meeting pools are separated by walls, glazing or curtains to meet different acoustic and privacy needs. 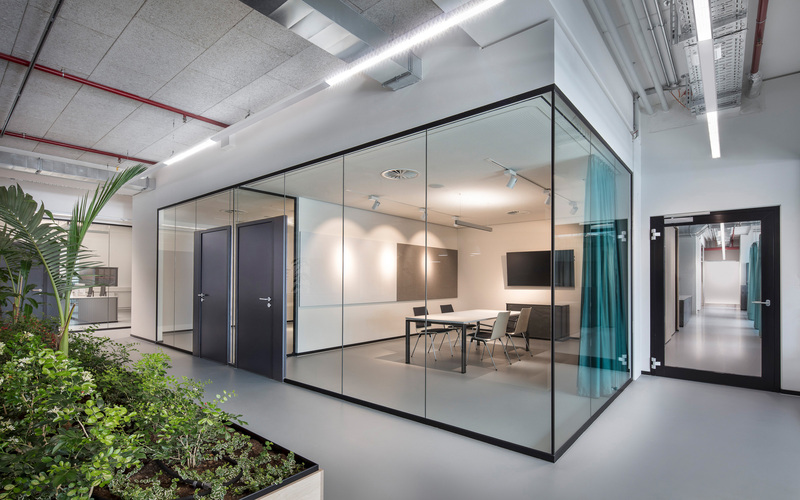 Three specially designed video conferencing rooms make it easier for employees around the world to communicate. 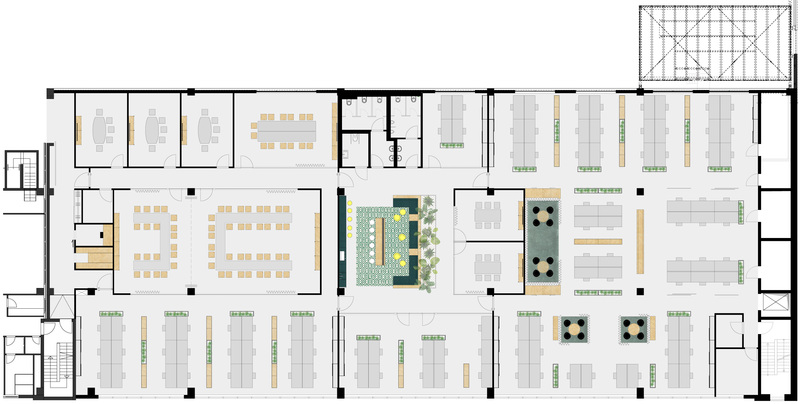 As a place for community and communication, the lounge with a café counter and sofa area is at the center of the space. 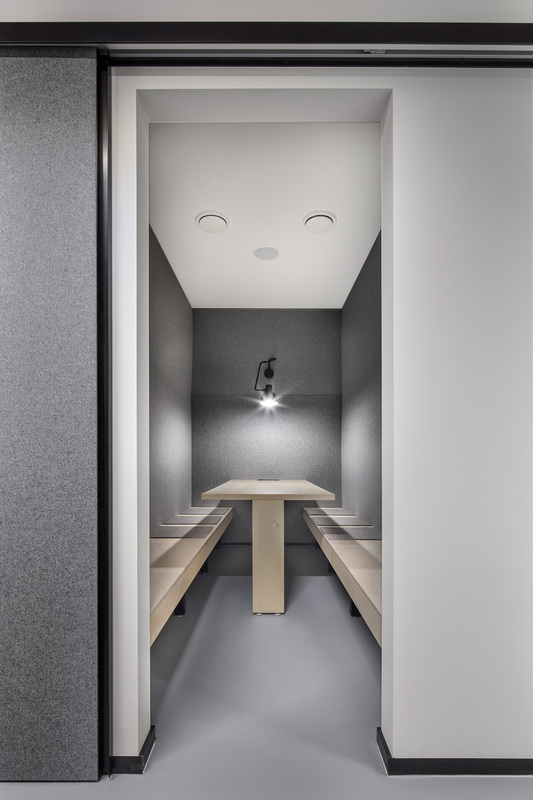 In the Focus Rooms, employees can retreat to concentrate on their work. 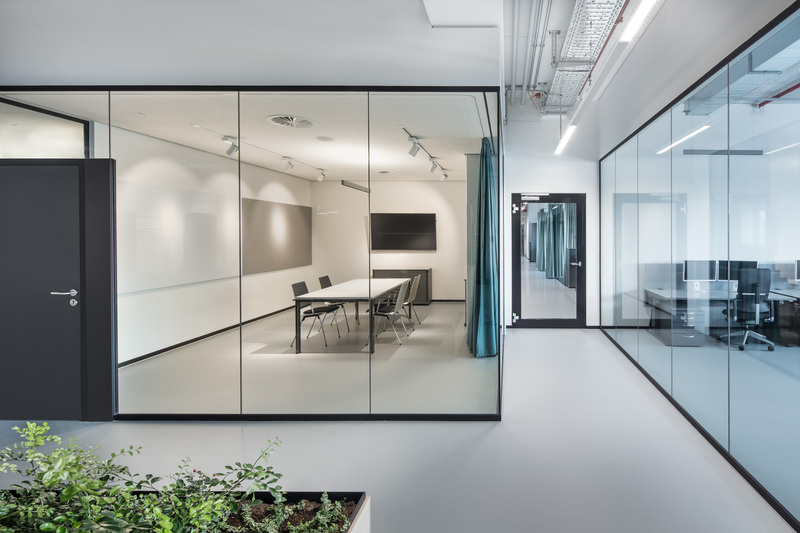 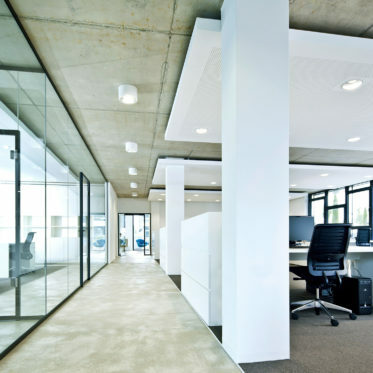 The office design must meet demands for great flexibility: Thanks to appropriate technical pre-installations, open-space areas can be subdivided at any time.